The National Football Museum originally opened in Preston in 2001. Home to a collection of over 140,000 boots, balls, programmes, paintings, postcards and ceramics (including the prestigious FIFA collection), it was situated at Preston North End’s Deepdale ground. While the museum was a critical success and popular with visitors, external funding was withdrawn and the doors closed to the public in 2010. Manchester City Council agreed to fund a new National Football Museum to be situated in the Urbis building, designed by Manchester architect Ian Simpson. 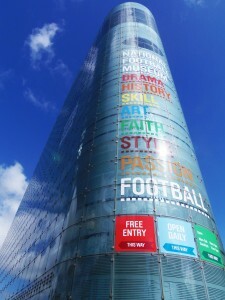 After investment from the European Regional Development Fund, the National Football Museum opened in Manchester in July 2012. Over the first six weeks of opening, the museum welcomed over 100,000 visitors and in just over two years over 1 million had passed through our turnstiles. The museum regularly welcomes approximately 500,000 visitors from the UK and overseas every year. 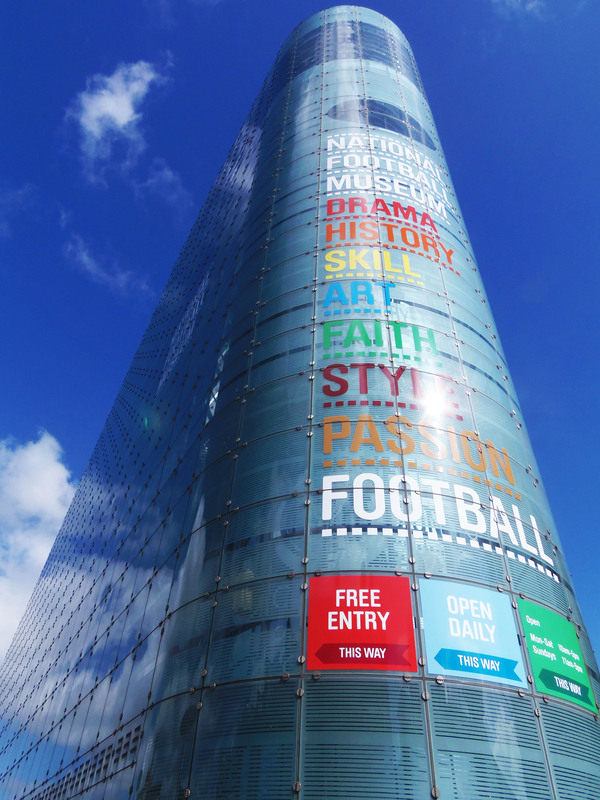 The National Football Museum has played host to a range of popular and thought-provoking exhibitions, including The Greater Game, Pitch to Pixel, The 1966 World Cup exhibition and Pele: Art of Football, celebrating football’s role and impact in wider society. Visitors from across the globe continue to enjoy world class objects (over 2,500 are on display at any one time), challenging interactives and a changing programme of temporary exhibitions, linking football to topics as diverse as fashion, history, art and World War 1. The museum’s president is Sir Bobby Charlton. Vice Presidents include Sir Alex Ferguson, Sir Trevor Brooking and Sir Geoff Hurst. The museum’s Special Ambassador is Mark Lawrenson.